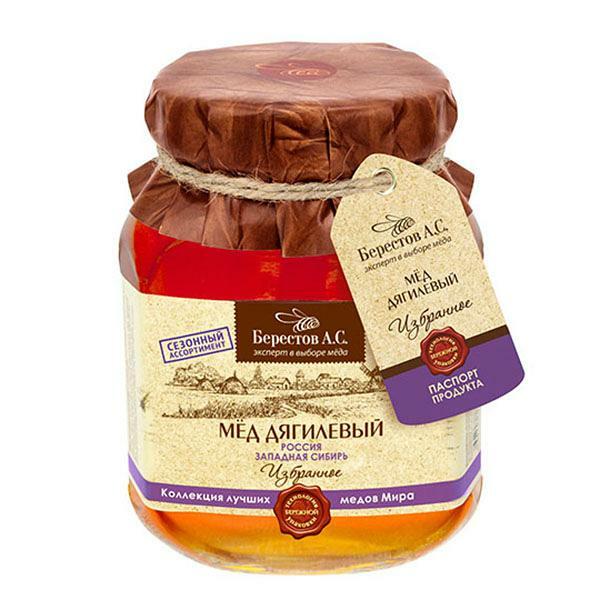 Honey produced from the flowers of medicinal Angelica is considered one of the most rare and useful varieties of bee product. Honey bouquet: This strain of bee product has a rich aroma and flavor with hints of caramel and a little bitterness. The color is also specific and varies from deep amber to reddish, sometimes with some greenish colour. The taste is rich, full, warm with peppery nuances and a slight bitterness. A long complex finish. Pleasant aroma of pine pollen and sweet cake with fruit filling. Beneficial properties: Angelica honey is useful for diseases of the oral cavity, such as tonsillitis, laryngitis and stomatitis, as well as internal inflammatory conditions (colitis, gastritis). It gently cleans, restores and normalizes the microflora. Angelica honey is useful when you have problems with blood pressure and blood vessels; it restores the kidneys and liver and has a slight diuretic effect.